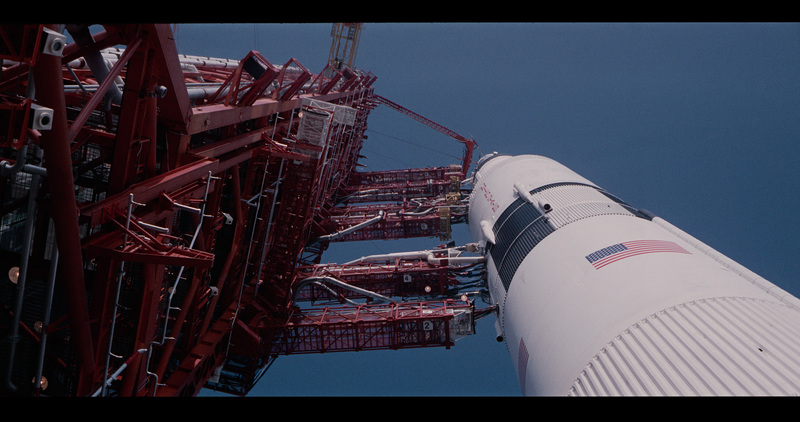 NEON has acquired the worldwide theatrical rights to Todd Douglas Miller’s (Dinosaur 13) cinematic space event documentary, Apollo 11. The film features never-before-seen, large-format film footage of one of humanity’s greatest accomplishments. The film is executive produced by CNN Films, which will retain the U.S. television rights, and is produced by Miller’s Statement Pictures. The feature is currently in post-production. Producers for Statement Pictures include Miller and Thomas Petersen. Amy Entelis and Courtney Sexton of CNN Films are executive producers. Miller is best known for the Emmy® Award-winning documentary, Dinosaur 13, which was also executive produced by CNN Films. That film tells the story of the discovery of the largest Tyrannosaurus rex fossil ever found. Dinosaur 13 world premiered at the 2014 Sundance Film Festival. Apollo 11 is the second film distribution collaboration between NEON and CNN Films in 2018. Earlier this year, the two companies announced their shared distribution of Three Identical Strangers, a feature-length documentary about triplets separated at birth and then reunited as adults. Three Identical Strangers had its world premiere at the 2018 Sundance Film Festival and is successfully exhibiting in theaters now. The deal for Apollo 11 was negotiated by Josh Braun of Submarine; Stacey Wolf, vice president of business affairs at CNN; and Evan Krauss of Gray Krauss Sandler Des Rochers LLP, along with Matt Burke and Ben Braun of Submarine. More information about Miller’s Apollo 11 documentary film will become available via https://www.apollo11movie.com. Founded in 2016, NEON is an award winning independent film distribution studio. Its debut film was Nacho Vigalondo’s Colossal, starring Anne Hathaway and Jason Sudeikis. NEON was an active player at the 2018 Sundance Film Festival, acquiring Reinaldo Marcus Green’s Monsters & Men, winner of the Sundance Dramatic Special Jury Award for Outstanding First Feature; Sam Levinson’s Assassination Nation; and Tim Wardle’s Three Identical Strangers, winner of the Sundance Special Jury Award for Storytelling. NEON had a record breaking year with the release of the runaway hit winner I, Tonya, directed by Craig Gillespie, starring Margot Robbie and 2018 Oscar Winner for Best Supporting, Actress Allison Janney. Eliza Hittman’s Sundance Award Winner Beach Rats, Matt Spicer’s Sundance and Spirit Award Winner Ingrid Goes West; Laura Poitras’s RISK, Ana Lily Amirpour’s Venice Award Winner The Bad Batch and Errol Morris’, The B-Side. Other recent NEON releases include Aaron Katz’s Gemini; and the 2017 Toronto International Film Festival Opening Night film by Janus Metz, Borg Vs McEnroe; and Coralie Fargeat’s groundbreaking feature film debut Revenge. After their successful collaboration on I, Tonya, in January 2018, 30WEST (Dan Friedkin’s and Micah Green’s strategic venture) partnered with NEON’s Tom Quinn (Founder & CEO) and Tim League (Co-Founder) to become the majority investors in the company. CNN Films, now celebrating its fifth year, produces and acquires documentary feature and short films for theatrical and festival exhibition and distribution across CNN’s multiple platforms. Amy Entelis, executive vice president of talent and content development, oversees the strategy for CNN Films; Courtney Sexton, vice president for CNN Films, works day-to-day with filmmakers to oversee projects. For more information about CNN Films, please visit www.CNN.com/CNNFilms and follow @CNNFilms via Twitter. In addition to Dinosaur 13, directed by Todd Douglas Miller, recent acclaimed CNN Films include: TROPHY, directed by Shaul Schwarz and Christina Clusiau; AMERICAN JAIL directed by Roger Ross Williams; THE REAGAN SHOW, co-directed by Pacho Velez and Sierra Pettengill; JEREMIAH TOWER: The Last Magnificent, directed by Lydia Tenaglia; RBG, directed by Betsy West and Julie Cohen; LOVE, GILDA, directed by Lisa D’Apolito; and Three Identical Strangers, directed by Tim Wardle. Statement Pictures LLC was formed in 2011 in Brooklyn, NY to produce independent feature-length motion picture films and visual content. It is co-owned by filmmakers Todd Douglas Miller and Thomas Petersen. The company’s first feature film, Dinosaur 13, premiered on opening night at the 2014 Sundance Film Festival and was acquired by Lionsgate and CNN Films for theatrical and broadcast exhibition, winning an Emmy® Award for Outstanding Science and Technology Programming. The company has numerous independent feature-length films in various stages of production and development and is actively engaged in the production of large format films that target museums and science centers worldwide.